but is IDS the right man? Nah! PS: Has anyone ever noticed that there is only one letter difference between IDS and the acronym for Irrutable Bowel Syndrome? 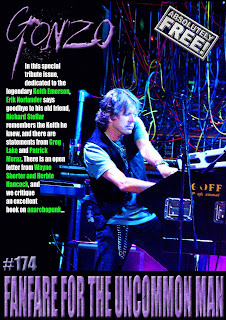 Keith Emerson is on the front cover, and inside Erik Norlander and Richard Stellar remember the Keith Emerson they knew. There are also statements from Greg Lake and Patrick Moraz. 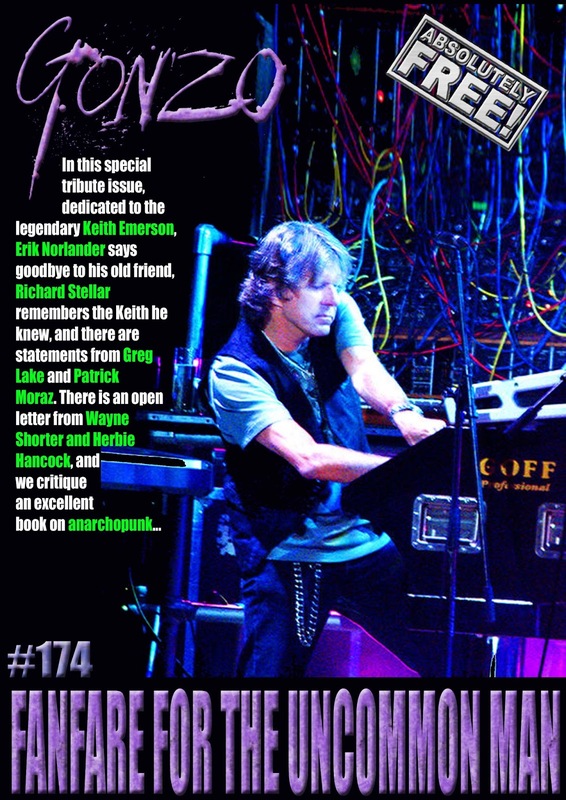 Doug writes about what many believe was ELP's finest hour, while Jon remembers the influence Keith Emerson had on his life. There is an open letter from Wayne Shorter, Herbie Hancock, and Gregg Kofi Brown tour dates. We review a book about Anarchopunk. John looks forward to a revolutionary spectacular at the V&A museum. Biffo looks at poo graffiti. There are radio shows from Strange Fruit, Friday Night Progressive, and Mack Maloney, the latest installment of the saga of Xtul, and columns from all sorts of folk including Roy Weard, Neil Nixon and the irrepressible Corinna. There is also a collection of more news, reviews, views, interviews and pademelons outside zoos(OK, nothing to do with small marsupials who have escaped from captivity, but I got carried away with things that rhymed with OOOOS) than you can shake a stick at. And the best part is IT's ABSOLUTELY FREE!!! ON THIS DAY IN 1413 - Henry V took the throne of England upon the death of his father Henry IV.